Dawn Heavy Duty Degreaser provides full strength cleaning for touch greasy soils on a multitude of surfaces. This solvent-based degreaser delivers heavy-duty cleaning performance, while remaining non-corrosive to hands. 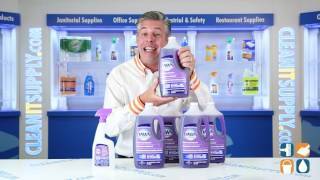 Effective on surfaces such as range hoods, ovens, walls behind equipment, floors, drive-thrus and fuel islands, Dawn Degreaser can also be used on food contact surfaces. 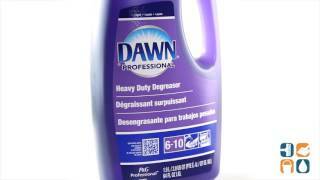 Dawn Heavy Duty Degreaser is phosphate-free, non-caustic and non-flammable. With 5 - 64-oz. bottles per carton you can stock up and save. Order yours today! I work in a school kitchen that has been neglected. And I am trying to find a miracle. This degreaser did not impress me, but I will use it.